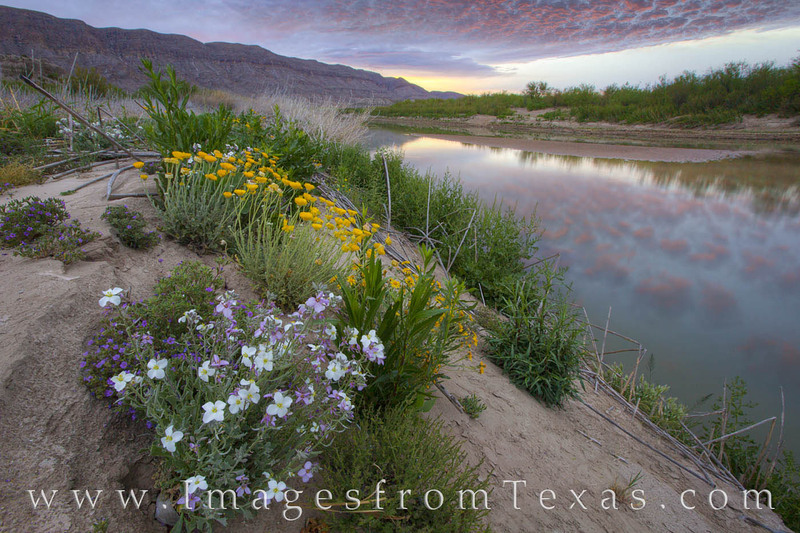 The banks of the Rio Grande were dry and cracked, but wildflowers were still found bringing beautiful colors to this riverbed. The skies overhead lit up for a brief moment, then faded into day. The waters of this south Texas river separate the Lone Star state with Mexico, and they were calm and lovely on this spring morning. Photo © copyright by Rob Greebon.